When it comes to restoring a 1972 Ferrari Dino, only so many have the know-how and funding to take on such a specialized project. 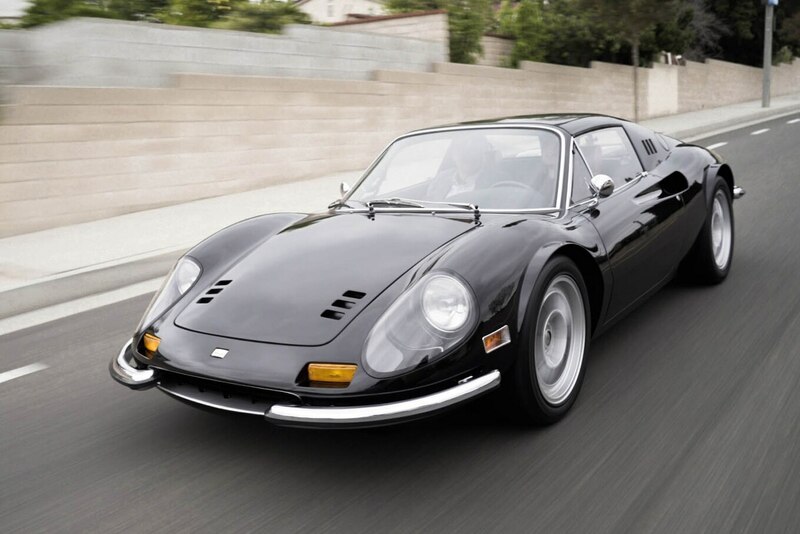 David Lee, a well-known Ferrari collector, is one of the lucky few to have done so—but he also added some modern touches to make his Dino a $1 million USD restomod. The Dino’s original V-6 engine was replaced with a unit that originally started out as a 2.9-liter twin-turbo V-8 from the legendary F40. Lee had the turbochargers removed, bored the V-8’s displacement to 3.6-liters, and upgraded the pistons, exhaust manifold, and radiator. The modified engine can now rev past 7,000 rpm and delivers 400 hp, which should be plenty for a car weighing just 2,400 pounds (1,089 kg). A gated five-speed manual transmission from a Ferrari 328 backs the V-8. In order to make the Dino more comfortable and easier to drive, Lee also added low-speed power steering, Brembo brakes, a revised suspension, and larger 17-inch versions of the original wheels. Dual USB ports with an iPhone holder add a touch of tech, and custom flared fenders complement the already beautifully sculpted body. If you want one for yourself, Lee will make you one for $1 million USD, not including the price of the donor car. Watch the video above to find out why that price might not be so outrageous.